You sent out 30 job applications today. Good for you. That’s an impressive number. Do you do this every day? Do you send over 200 job applications per week? If you do - stop. You’re doing it all wrong. Don’t take my word for it. Ask yourself how many interviews you’ve been on this month. More than two? Is a 10% success rate enough? The golden rule applies here: quality over quantity. Remember that employers are hiring for quality. It makes sense for you to try and apply for anything that matches your criteria. But HR professionals can see right through your application. This is their job. This is what they do on a daily basis. They could get dozens of submissions for a single opening, or even more for the best jobs. Will your copy and paste CV and cover letter get land you in the “yes” pile? No, but do not fear. Read on and see what you need to do to stop your application looking like spam for HR recruiters. Follow these simple steps and your response rate is bound to double. Self Diagnose: Are You an Applicant That Spams? Be honest with yourself. Are you a job applicant spammer? Don’t beat yourself up over it. I’m guilty as charged. What’s worse is that I thought I was doing a great job. I thought I was the ideal job seeker. I sent out 20 applications a day. I thought, one of them is bound to get a response. After two months, I had ZERO calls for an interview. I thought I was unmarketable. I got depressed. I asked a friend to look at my resume and cover letter. She told me they were too generic. All fluff and no content. She said she wouldn’t hire me if she was an HR recruiter. I had to change my tactic around. 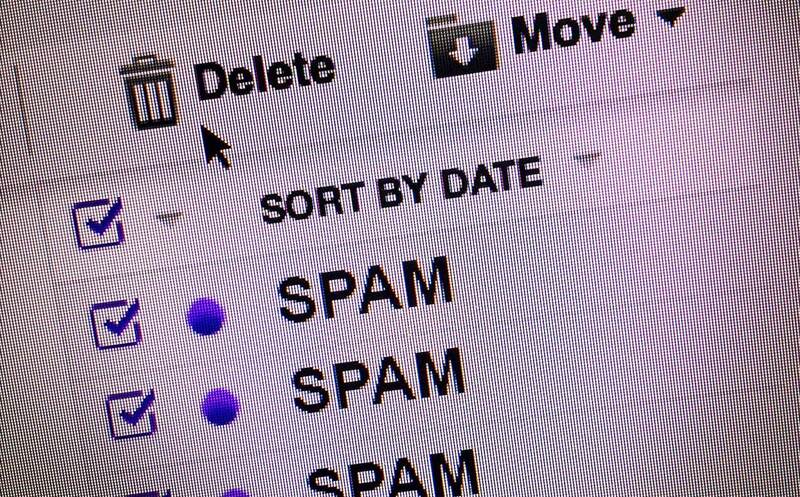 The first step diagnoses if you are an application spammer. How do you know if you fall into the same category? You rate your success off of the number of applications you send out. So you rush to complete an application form. You only fill out half of it because it’s too long. Or you write an email to a hiring manager and spell her name wrong. You use Microsoft Word to design in HTML and it raises your spam score and makes your email look terrible. You assume the skills and qualifications needed for a position. You don’t take the time to see whether your previous experience matches with the job offer. You assume an HR recruiter’s gender by their name. Don’t fall into the cut and paste routine. Filling out application forms online is so easy! All you have to do is copy and paste bits of your CV into the boxes. This is wrong. Don’t copy text from your resume. It formats and can look messy in their job application portal. These are major red flags for any HR recruiter. It shows that you don’t your time and signals that you are not serious about the position. You look apathetic, lazy, and sloppy. Not a good start to getting hired. Shift your process to what works: tailoring your application. Be a quality candidate. Do your research and customise. Recruiters want to see that you are eager to join their team. If you don’t do your research, it will show. Show that you know about the company. For jobs where you apply with a CV rather than an application form, how you tailor that CV and cover letter is the key to your success. When I sent out 20 applications per day, I used the same two generic CVs. I did not change any of my experience or responsibilities at all. HR recruiters saw my resume and saw that I was not a good fit off the bat. Craft your CV. It is a good idea to use an online resume builder that gives you tips on what to add and what to leave out. It will look stunning in comparison to other applicants. And tailoring your experience with such a tool will make your resume stand out from the crowd. My response rate shot up 75% when I tailored my resume and used the proper CV template for that industry. In one month, I had four phone interviews and two in-person interviews. The kicker: the roles were different from one another. The companies took notice of the time I spent customizing my application for that role. Congratulations, you went from an application spammer to a quality candidate. You have set yourself apart from other candidates. Your response rate tripled. But you still cannot land that position you covet. This is typical for a job seeker who begins to tailor their resume and does their research. They see which job roles fit them better than others. They understand what company best suits them. The problem then becomes how to land that position. You have options here. But it requires stepping outside of the job application itself. Reach out to your professional and personal networks. But don’t be sloppy. Don’t send out an email with 20 different people CC’ed asking about job openings. Don’t fall back on your old habits during the networking process. And don’t forget, you should be a good fit for the company too. Take initiative and try to find ways that you can build your experience in a short period of time. Look for freelance opportunities in that field that build transferable skills. Last but not least, treat the job hunt as a job itself. Do not rush the process. It could be a long and difficult road ahead. Remember to be patient. You will not land a job in one day. But you will probably enjoy the process more and success is more likely to follow. About the author: Miles Maftean is a careers writer at Zety, the international careers website. Zety offers guided online tools to help you build CVs and covering letters and make your job hunting more effective.